The 45-year-old actor was practicing for a scene on the movie at Chase Fields – home of the Arizona Diamondbacks – when he ruptured the ulnar nerve in his elbow, meaning he now finds it hard to grip a bat, causing filming on the project to be halted on Sunday (14.08.11). Charlie confirmed he is recovering at his house. He said: "I'm at home and I'm at peace." Bosses at the baseball stadium tweeted a picture of the star saying he had been "great" while he was there. 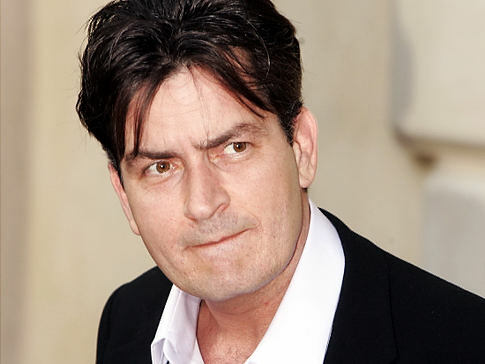 They tweeted: "Charliesheen took BP earlier today as he prepares for next Major League' movie. Was great to all the guys. WINNING(sic)"
Meanwhile, Charlie has admitted he is looking forward to his forthcoming "roasting" – where comedians mock a celebrity – on Comedy Central because he views it as a "celebration" of his success. He said: "It's not like you can take any of it personally. 'They insulted me!' Get over your cheap self ... It's a celebration of who I am ... as a media figure, an industry figure, stuff like that, so that's the veneer that keeps it from being personal." The show will air on September 19, the same night as the premiere for 'Two and A Half Men' – the comedy series from which Charlie was fired after a public spat with creator Chuck Lorre – with newly-cast Ashton Kutcher hits TV screens.